The Mitchell Institute has announced that the 2019 recipients of the Mitchell Scholarship will receive $10,000 to support their college educations. Applications are now being accepted. One graduating senior from every public high school in Maine will be selected as a Mitchell Scholar based on his or her financial need, academic promise, and community involvement. In addition to the $10,000 college scholarship, students will gain access to a wide array of personal, academic and professional support programs, as well as a network of nearly 3,000 Mitchell Scholars, Alumni, and partners, all of which amount to much more than just a check. Generous donors to the Mitchell Institute’s Open for Opportunity Campaign enabled the Mitchell Scholarship to increase to $10,000 this year from $6,000 in 2013. The Mitchell Institute encourages graduating high school seniors from Maine public high schools to apply for the Mitchell Scholarship by April 1, 2019, at www.mitchellinstitute.org/scholarship. The Mitchell Institute provides scholarships for Maine students planning to attend two- and four-year degree programs at accredited colleges and universities. Since 1995, the Mitchell Institute has awarded nearly $16 million in college scholarships. The Mitchell Institute unlocks the potential of Maine college students so that they can find success in college and contribute to the vitality of their communities. 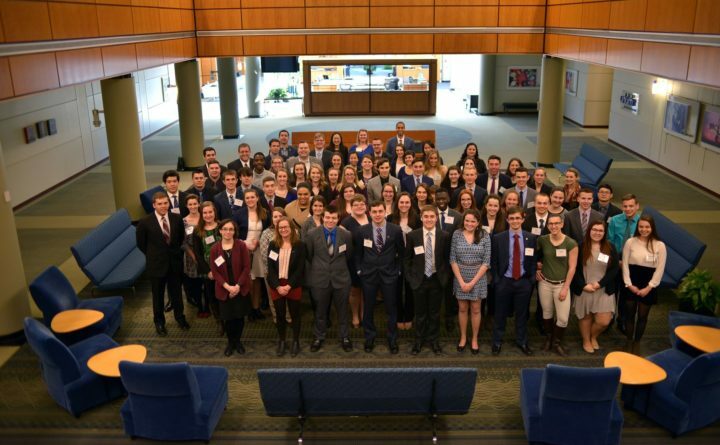 The organization awards $1.3 million in scholarship funds every year to more than 130 students from every community in Maine, but what separates them from traditional scholarship organizations is the broader array of support programs that they provide to students. This combination of personal, professional, and financial support makes college degrees more attainable for Mitchell Scholars, who graduate at a rate 30% higher than the national average. Mitchell Scholars are also more likely than their peers to stay in Maine or return to the state after college. Founded by Senator George J. Mitchell, the Mitchell Institute’s core mission is to improve the likelihood that young people from every community in Maine will aspire to, pursue, and achieve a college education. The Mitchell Institute is strengthening Maine communities by providing a path to success in college and beyond. For information about the Mitchell Institute, please visit www.mitchellinstitute.org.